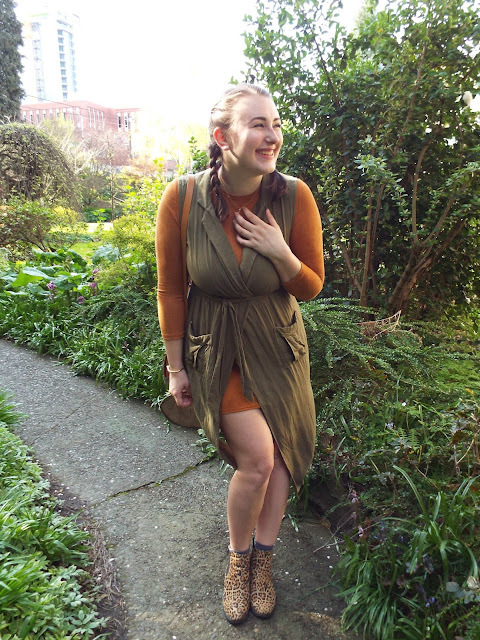 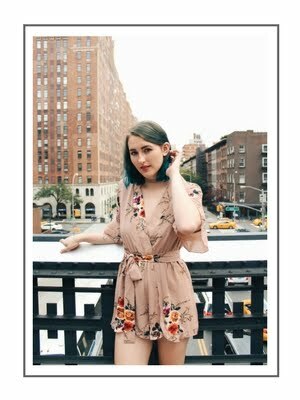 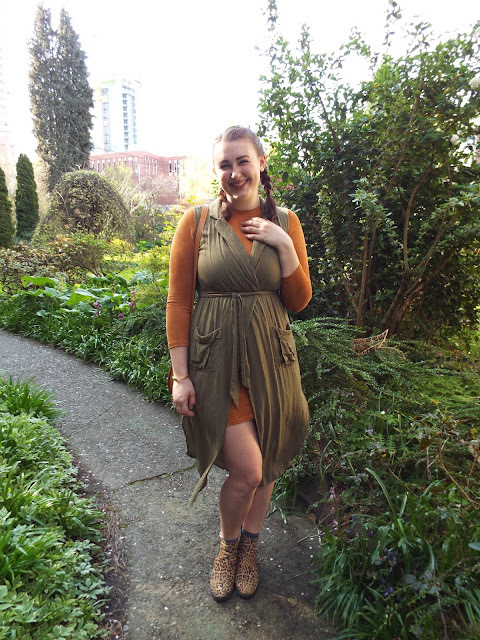 I've been waiting to wear this outfit for at least a month, and it's finally warm enough outside for me to go without tights or a jacket! 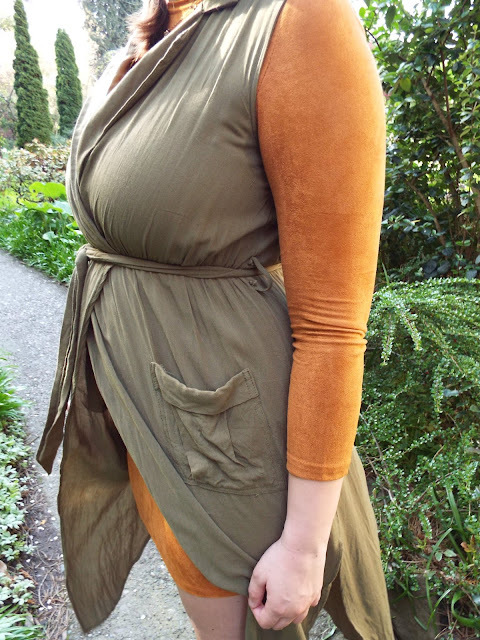 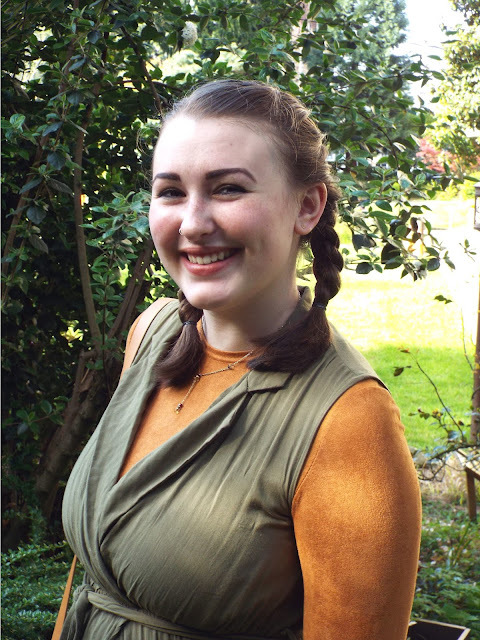 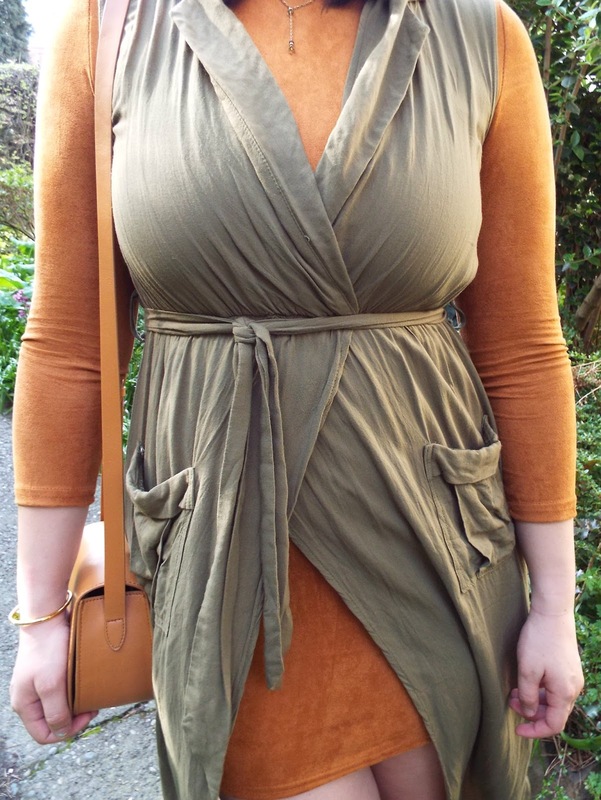 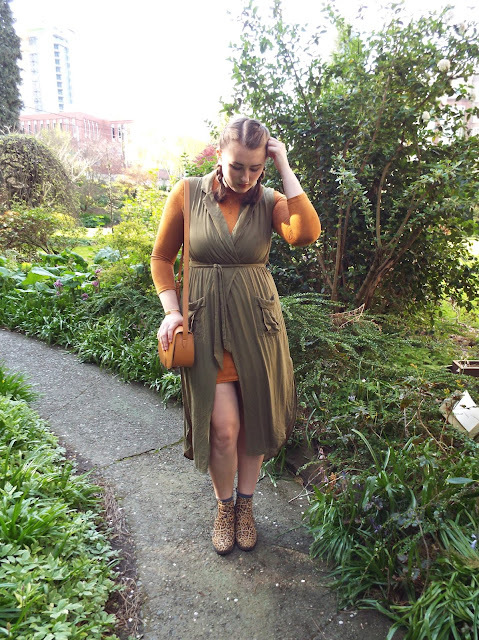 This green dress is one of my favorite layering pieces: I wear it over pants, dresses, and leggings. 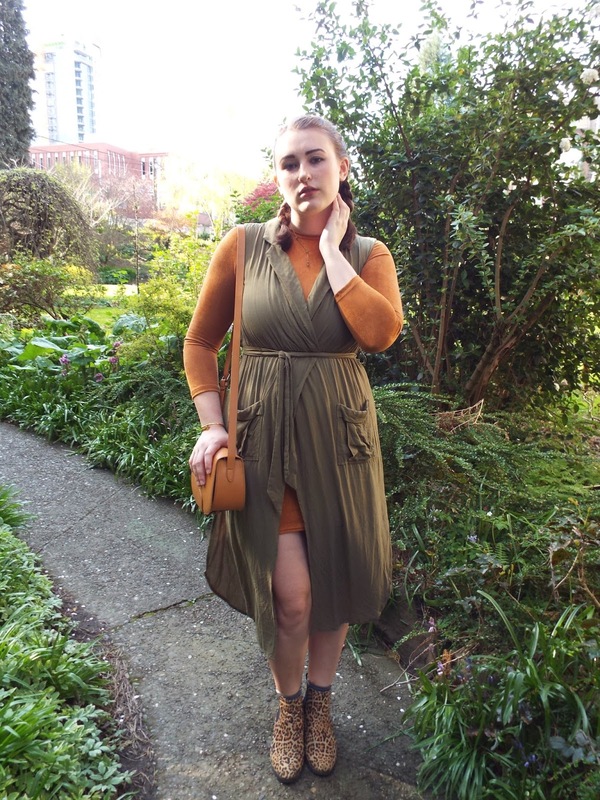 It's also one of my favorite semi-neutral colors to wear; I have so much olive green in my closet.